Sir Richard Branson has welcomed the first commercial flight powered partly by a new form of biofuel converted from alcohol. Virgin Atlantic’s Boeing 747 aircraft landed at London Gatwick with a fuel blend containing 5% biofuel made from industrial waste gases converted into ethanol. Sir Richard, the airline’s founder, guided the aircraft towards a stand after it touched down on Wednesday. The billioniare told reporters it was “a historic day”. He went on: “The fuel is cleaner than normal jet aviation fuel. The biofuel, produced by start-up firm LanzaTech, is certified to make up as much as 50% of a plane’s total fuel supply. The “sustainable” fuel delivers a reduction in greenhouse gas emissions of “at least 65%” compared with conventional petroleum fuel, according to LanzaTech. 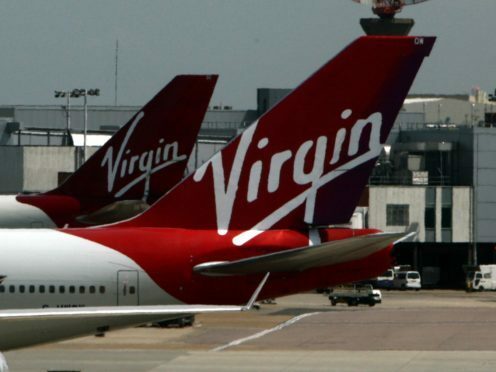 Virgin Atlantic chief executive Craig Kreeger urged the Government to take the “critical next steps” of approving a change in legislation to allow such companies using carbon capture technology to be eligible for financial incentives, and to support investment in the first plants to produce the fuel. LanzaTech is aiming to open three UK plants by 2025, producing enough fuel to fly all Virgin Atlantic’s UK outbound flights in a 50/50 mix.